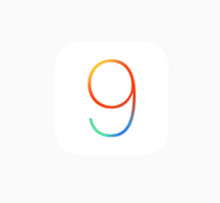 Apple® today (9/9) announced iOS 9, the world’s most advanced mobile operating system, will be available on Wednesday, September 16 as a free update for iPhone®, iPad® and iPod touch® users. iOS 9 makes iOS devices more intelligent and proactive with powerful search and improved Siri® features, all while protecting users’ privacy. Slide Over lets you simultaneously work in a second app without leaving the one you’re in and easily switch between your apps. The powerful built-in apps on iPhone and iPad are designed for all your essential, everyday tasks. In iOS 9, we’re delivering a completely redesigned Notes app, support for transit in Maps, an all-new News app and new capabilities in Apple Pay™. This latest release makes the foundation of iOS even stronger with refinements including battery optimization that provides a typical user with an additional hour of battery life, and a low-power mode to further extend battery life. *** Software updates require less space to install and the Install Later feature can perform updates to your device when it’s not in use. Enhanced security features in iOS 9 keep your devices and Apple ID secure by strengthening the passcode that protects your devices and improving two-factor authentication by building it directly into iOS, making it harder for others to gain unauthorized access to your Apple ID. iOS 9 apps and the user interface now take advantage of Metal™ to deliver faster scrolling, smoother animation and better overall performance.